As generations of oysters grow on top of each other, they form reefs that provide habitat for many other animals. Oysters are capable of filtering as much as 50 gallons of water each in a single day, removing silt and contaminants from the water, and improving local water quality and clarity. Oyster reef area has decreased over the last decade due to three primary factors: coastal storm surges, drought, and fishing pressure. The most recent oyster reef maps available are from 1994, yet significant loss since that time is irrefutable, especially since Hurricane Ike in 2008. 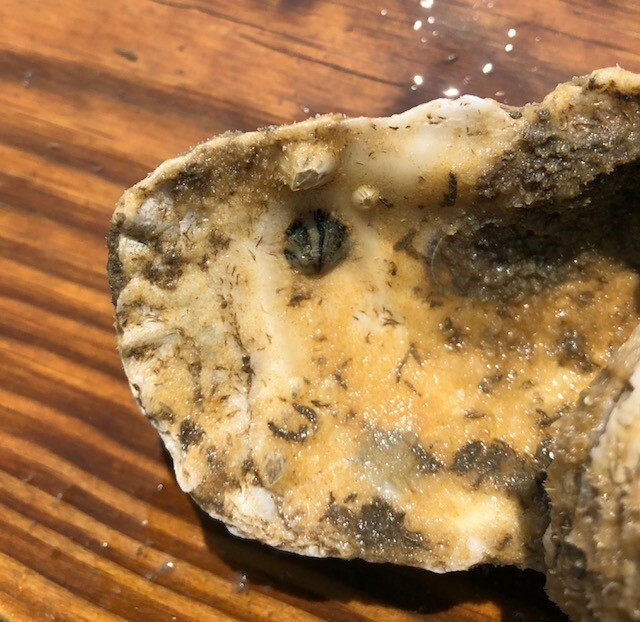 While limited data describing recent oyster restoration projects led by the TPWD exist, we cannot report accurately on the current coverage of oyster reefs in Galveston Bay. For that reason, Oyster Reefs received an I for incomplete. What is GBF’s Oyster Shell Recycling Program? After you enjoy a tasty meal of oysters on the half-shell at your favorite seafood restaurant, those shells are sent to a landfill along with the restaurant’s waste. Rather than loosing this vital resource, we partner with local restaurants to collect the shucked shells and return them to the bay to create new oyster habitat. What restaurants participate in donating their shucked oyster shells? We partner with five restaurants in the Clear Lake/Houston area, which include Tommy’s Restaurant and Oyster Bar, Tookie’s Seafood, Crazy Alan’s Swamp Shack, The Aquarium at Kemah, and Captain Benny’s. We also partner with BLVD Seafood in Galveston. What does GBF do with all the shells from the restaurants? The restaurants place their empty oyster shells into 32-gallon recycle bins, which are collected and trailered by a staff member to one of GBF’s “curing sites”. The shells are sun-bleached for a minimum of six months to get rid of any bacteria. The shells are turned periodically allowing all shells to be thoroughly exposed to the sun. Where do the shells end up after they’ve been sun-bleached? 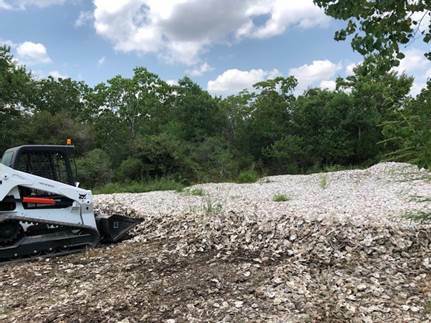 The recycled shells are returned to Galveston Bay to provide new homes for baby oysters through GBF’s volunteer oyster gardening and reef creation efforts. What’s the importance of this whole process? Oyster larvae, also known as “spat” attach to the recycled oyster shells and begin to grow. These new oysters help sustain the existing oyster populations for future generations. The oyster reefs provide habitat for other species, such as fish, crab, and shrimp. 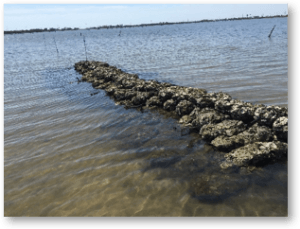 Oysters reefs also function as a living shoreline by protecting the shore from erosion and restoring salt marsh. An adult oyster can filter as much as 50 gallons of water a day, so they help with water quality as well! 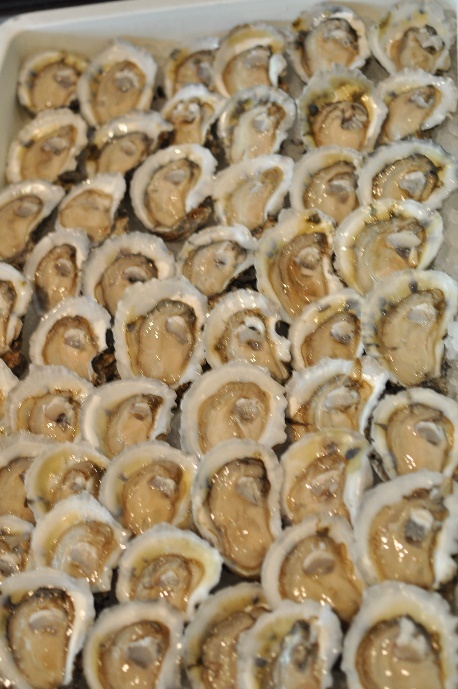 Will the oysters ever be harvested again for human consumption? All the oysters produced through GBF’s Oyster Shell Recycling Program are strictly for restoration purposes and are not for consumption. 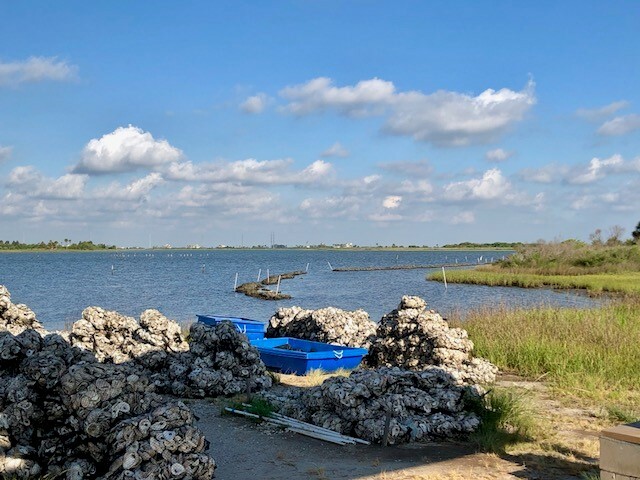 You can help oysters in Galveston Bay by Volunteering to restore oyster reefs, assisting with shell recycling from restaurants, or increasing oyster populations through the oyster gardening program for waterfront property owners. Shannon Batte joined Galveston Bay Foundation in April 2017 as the Oyster Shell Recycling Assistant. She collects shucked oyster shells from partnering restaurants every week and assists with oyster reef restoration events. She graduated from Texas A&M University in Galveston with a B.S. degree in Marine Biology. Shannon is a native of the Bay Area and has always had a passion for anything involving water. Shannon is thrilled to be a part of the GBF team and help preserve and enhance Galveston Bay one oyster shell at a time!